2nd-grade teachers! Sign up now for your classroom to be involved! 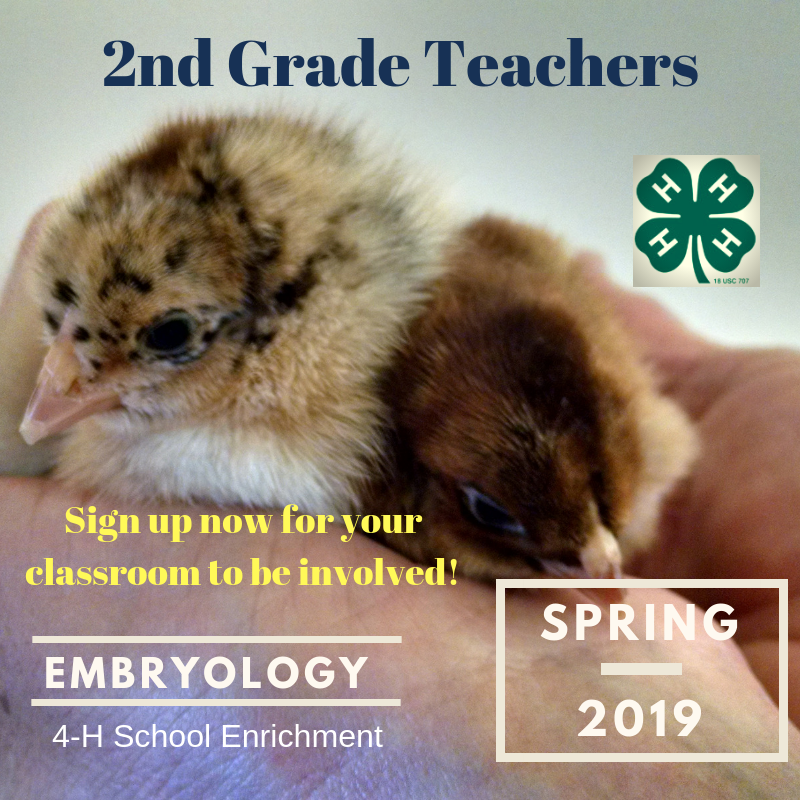 4-H School Enrichment – Embryology, Spring 2019. • "Egg-Citing Things Happening in 4-H!"